As an agricultural economist, I have thought about how to maintain sustainability of a society. Looking back at the history from this viewpoint, I think there were two major turning points in Japan after the end of World War II. The first one came in the early years of the 1970s, when the Japanese economy suffered stagflation (inflation amid economic stagnation) caused by oil shocks. To cope with the situation, the government introduced market fundamentalism and shifted to allow for freer economic activities, prompting agriculture to go through major reform as well. Being born into a farming family and brought up in a rural village, I have witnessed Japan’s agriculture mechanize and modernize. As the industry became more market-oriented, more focus was put on the quality and safety of farm products, and market liberalization progressed under the Uruguay Round of multinational trade negotiations. People began to see limits in trying to maintain farmlands only by individual development efforts by owners, and called for the need to secure sustainability of regional communities. The second turning point came during the global financial crisis in 2008, which led some countries to start revising and changing their neoliberal ideas. For instance, in its growth strategy “Europe 2020” released in 2010, the European Union, although not completely turning away from the economic high-growth path, focused on resolving social issues including environment and improving quality of life. On the other hand, Japan continues to push on towards high economic growth with its Abenomics policies. Agriculture is regarded as a potential growth sector and agricultural co-operatives reform has become the focus of the government’s deregulation goals. By encouraging private companies’ entries into the agriculture sector, the government virtually aims at “doubling income” of a handful of successful agricultural businesses. Japan is entering its final stage of liberalization with the Trans-Pacific Partnership free-trade agreement in sight. It is true that Japan’s farming sector is lacking successors and it will be difficult to maintain agricultural viability if the industry remains as is. That is why the government is taking measures under its growth strategy. However, one highly qualified farmer cannot sustain a rural community without support from other farmers. Agricultural community is made up not only of large-scale farmers but also of part-time farmers and self-sufficient farmers. Rural agriculture is sustainable only when farmers cooperate to coexist, while playing their roles in community. The government has decided to adopt the policy of restarting and exporting nuclear reactors. Its economic policies have led to widening gaps after the financial crisis and even basic human rights are threatened by possible cutting down of welfare budgets. It is rushing to pass the security legislation bills despite calls questioning their constitutionality. Recent polls show that the government’s policies do not reflect public opinion. Now is the time to think seriously about what democracy means. In order to create a sustainable society, it is of course important to secure democracy, but that is not enough. We cannot just wait for good luck to happen. We must act. Diverse members of communities should discuss and work together towards common goals. If they fail to meet the goals, they can discuss again to adjust them. Securing democracy in rural villages is what revitalizes regional communities. Instead of letting the government force policies on people, let us awaken the power of communities and focus on nation-building based on regional autonomy. 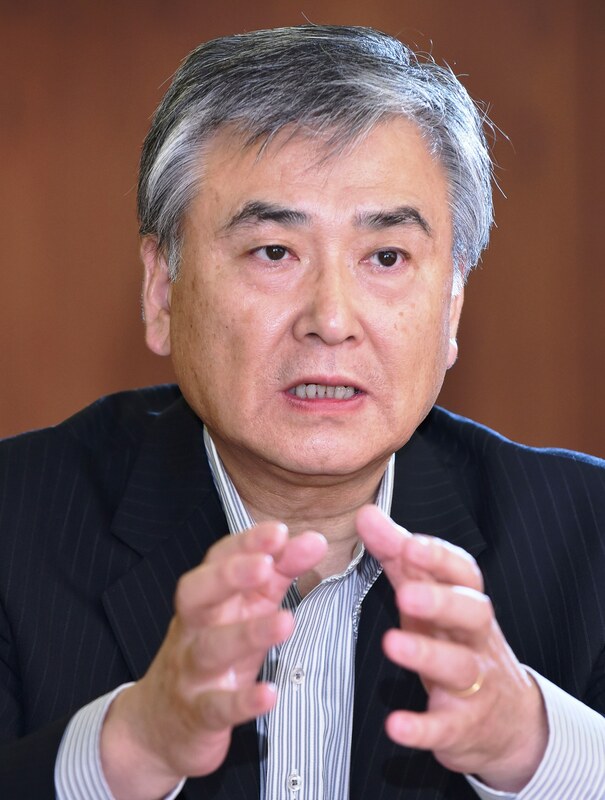 <Profile> Born in Tochigi Prefecture in 1952, Yoshio Yaguchi, 62, was graduated from the University of Tokyo’s graduate school and began working at the National Diet library in 1981. After working as professor at the Tokyo University of Agriculture and Technology, he currently serves as fellow researcher of the Agricultural Policy Research Committee. He has published a book on the future of agriculture and rural villages. This entry was posted in Food & Agriculture, Trade Talks and tagged Opinion. Bookmark the permalink.